Honestly, what is there to say about Disgaea 1 Complete? It’s a slight remaster of a classic strategy game. That just about sums it up. While the basic level geometry is the same, the sprites are completely redone. 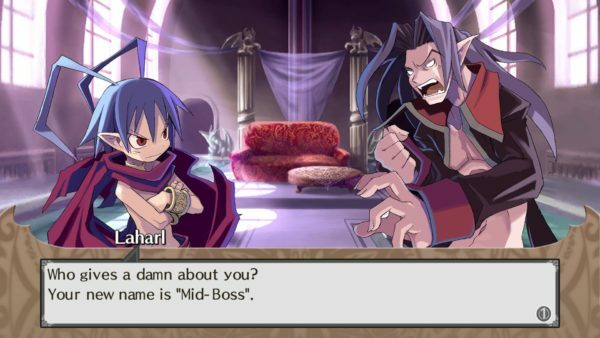 Disgaea is a story about your character, Prince Laharl of the Netherworld, whose father King Kricheskoy died recently (two years ago). After a nap, Laharal wakes up and decides it is his birthright to be the new King. With his trusty and sarcastic vassal Etna, he goes on a quest to do just that. 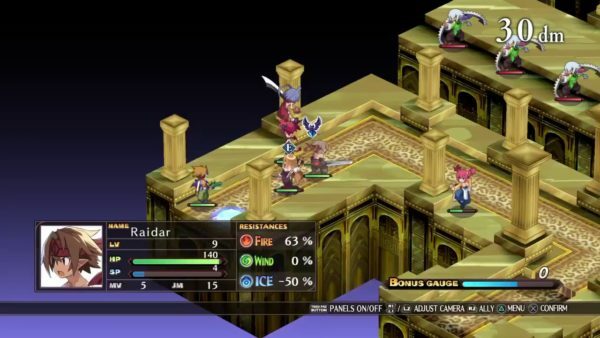 The gameplay of Disgaea could almost be considered a “throwback” in today’s gaming world. It’s a pure strategy/tactics based RPG. You move Laharl, Etna, and your other characters on a square grid. There, you can attack, cast spells, use items, pick up and throw other characters (your own and enemies), and other moves. Positioning is critically important since you can flank enemies and surround them which increase your chance to do a team-up attack. You go between levels, beating up on the enemies you encounter, using the Geo Panels (floor-based status changes) for good and bad, and generally just making your way through the story. When you’re not battling, you are at your castle where you can heal your team members, create new units in the Dark Assembly, or trying to level up your weapons in the Item World. Some of this stuff takes a bit of explanation though. To create new party members, you need to approach the Dark Assembly. It is essentially a Senate-like system where various demons vote on whether or not you’ll be allowed to create a new unit. You don’t have to do this every time, but for more powerful/better units, you need to deal with them. You can usually bribe them to vote your way, but if not, you can try attacking them, but this is a pretty hard fight if you try for it, at least initially. The Item World is one of the more complicated ideas in the Disgaea series. You don’t buy new and better weapons as you progress, at least in a traditional sense. Instead, the idea is that you can rank up weapons by going deeper into the Item World. For every 10 floors, you descend, the item gains one level. If you wipe on a floor though, your progress is lost. Fortunately, you don’t have to actually kill every enemy on every floor; you just have to make it to the magical crystal that permits you to go down. You can escape the Item World on every tenth floor, to go back to your base and heal up, and buy more items. 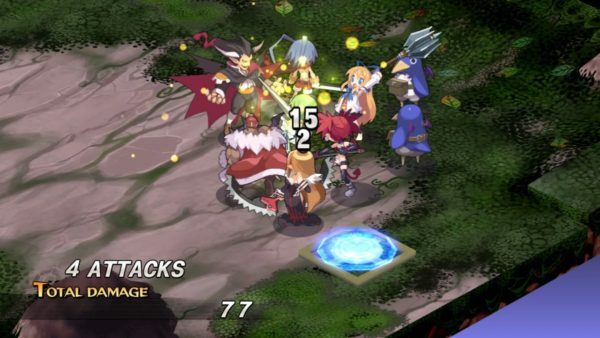 One quirk of Disgaea is Geo Panels. Most stages have squares with different colors on them. These correspond to a Geo Symbol on the ground which can have beneficial and detrimental effects to the battlefield. One symbol might boost your experience gain. While another might vastly increase enemy defense. The trick with the symbols is that they can be destroyed. If a symbol is destroyed, anyone standing on the corresponding color takes damage from the panel being changed. It’s an odd system but you get the hang of it quickly. This is the nuts and bolts of the game, at least on a basic level. 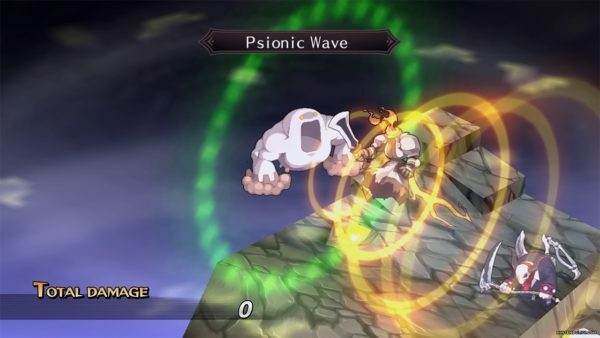 There are a lot of mechanics going on in Disgaea that are pretty complicated. Like, the actual strategy elements of the game are good but I’m just not a fan of the Item World stuff or even the Dark Assembly. The updated graphics are *really* nice. 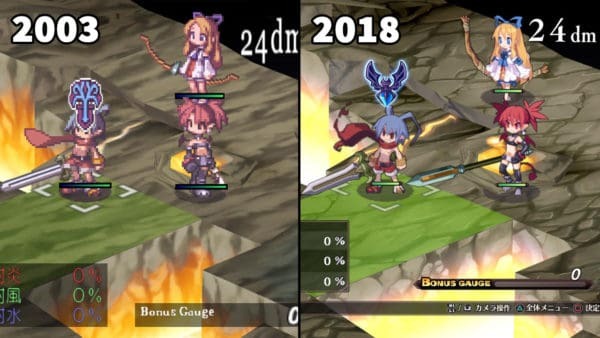 I took a comparison screenshot between this version and the PC version and you can really tell some work went into this game. They changed some of the names of the characters. I’m not talking Laharl or Gordon but more the people in your castle, like shop vendors and such. Some elemental resistances on the townsfolk have also changed. That’s kind of about it. There may be some Easter Egg stuff later in the game, but it’s the same game as before. I mean, Disgaea 1 came out on the PS2 originally, it’s not like there was a ton of DLC options for the game. There aren’t any additional outfits for Flonne or Etna either. There isn’t a cheat system or DLC characters. It’s simply the original game with much better sprite work. Case closed. If you have a PS4 and Switch I would recommend you get the Switch version. I reviewed this game on PS4 but having some handheld Disgaea would be pretty neat and the game isn’t too action-oriented as to make it a difficult prospect. 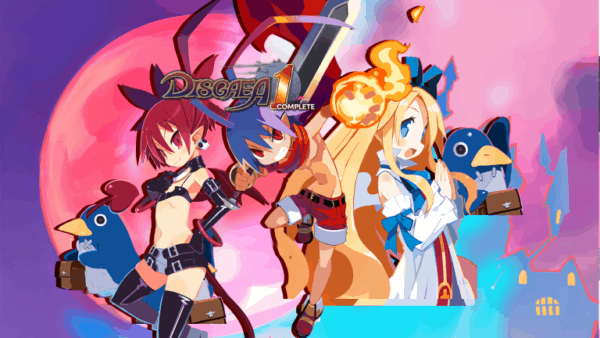 Overall Score: 8.0 out of 10 Honestly, it’s Disgaea 1, the same classic game just given a visual upgrade. It still has all the same elements of the original game, for good and bad, but just on modern consoles. And unlike the PC version, isn’t completely busted. 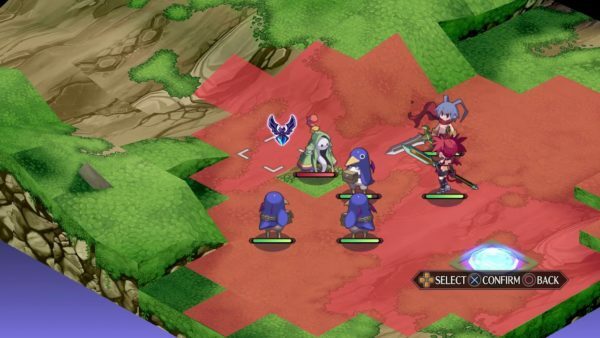 Disgaea 1 Complete might be a tad challenging to get into for new players and it does have some obtuse systems, but if you stick with it, you’ll begin to see the appeal of the game quickly.